HMD Global will launch the next generation Nokia 6, dubbed as Nokia 6 (2018) in January 2018 as per recent reports. The Finnish company has recently completed one-year since it acquired the Nokia brand back in December 2016. 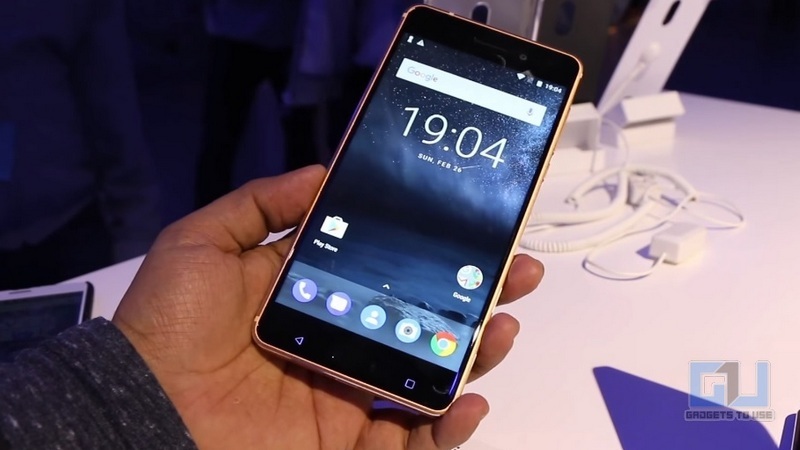 The company started making Android-powered Nokia smartphones Nokia 6 was their first phone which they launched in January 2017 in China. Initially, the Nokia 6 was limited to the Chinese market. However, HMD launched the Nokia 6 globally with few changes at MWC 2017 and it was launched in India later in June. The Nokia 6 was a mid-range device with solid looks but it lacked proper hardware. Its Snapdragon 430 SoC was not optimised perfectly. Now, a new leak suggests that they will launch next-generation Nokia 6 in January 2018 and it is rumored to come with a Snapdragon 660 SoC. To recall, HMD Global has reportedly scheduled an event in China for the launch of next year’s flagship Nokia 9, and Nokia 8 (2018). Now, Nokia 6 is also seemingly getting the 2018 version. At the same event, the company might launch the Nokia 6 (2018), with a major bump from this year’s Nokia 6 in terms of hardware. 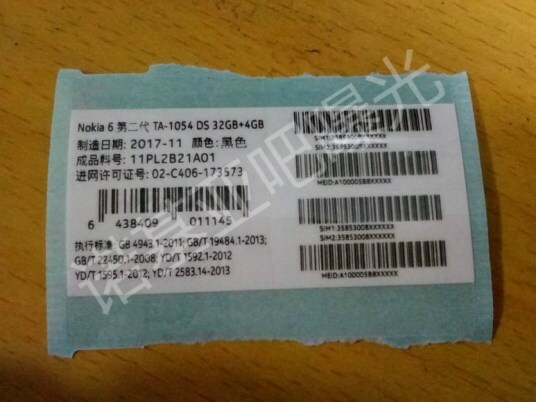 The sticker of an unknown Nokia phone with TA-1054 model number has been spotted on Chinese site Baidu and it may be the Nokia 6 (2018). If this leak is to be believed, the Nokia 6 (2018) will come in China with the same model. The sticker also reveals some other information about Nokia 6 such as dual-SIM support, 4GB RAM and 32GB of internal storage. To recall Nokia 6 offered only 3GB of RAM. Further, the Nokia 6 (2018) might feature a Full HD+ display. In terms of design, it may not be changed because the Nokia 6 already had premium design. However, the fingerprint sensor may be shifted to the back because of a 18:9 display. However, all these features are yet to be confirmed by HMD Global. HMD Global may likely launch all the three phones for its 2018 line up on January 19. Also, like it did last year, the global variants of the phone may be unveiled at the MWC 2018 and likewise, the India launch might happen later in the second quarter of 2018.